Form is one of the common contents found on the internet. You can find it on the registration pages, contact pages and so on. Creating an online form is really straightforward. There a bunch of examples of HTML codes for an online form you can find on W3Schools or other similar sites. What matters more of an online form is how you manage the submissions submitted via the form you provide. 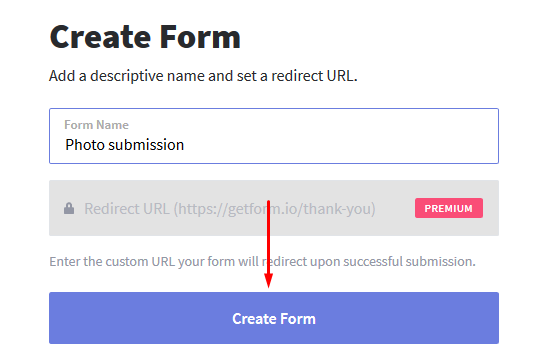 If you are looking to create an online form for your site but have no idea of how to manage the submissions, Getform might be your problem solver. Getform is a form backend platform that is designed to help you to manage online forms. It is a pretty simple form backend platform that is really easy to use. All you need to do is place the generated form endpoint (URL endpoint) to the action attribute on the form tag of your HTML code of your form. Update your page and wait for the submissions. You can manage the submissions via the Getform dashboard. The form endpoint of Getform is flexible to use. You can use it on the HTML contact form, HTML registration form or any type of form built using HTML code. Getform allows you to add file upload to the form you are creating. This platform itself is specifically aimed at designers and developers, but there is no sin if you are none of those, yet want to use it. 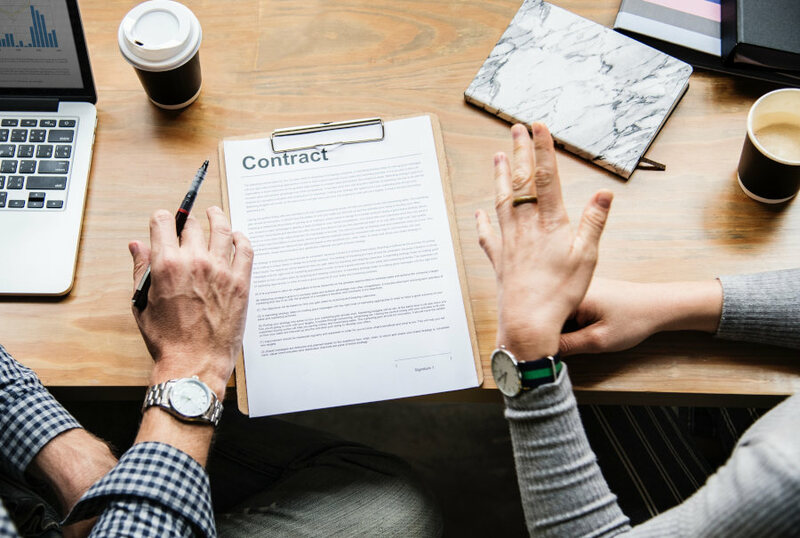 Getform can be a great service for static website owners who need to provide certain forms, a registration form for instance. Important to note that Getform is not a form builder. Instead, it is a form backend platform so the emphasis of this service is not to help you create a beautiful-look form. You can use Getform when you need a platform to manage the collected submissions submitted via a form you provide. Getform is built with collaboration in mind. You can invite your team members to help you in managing the collected submissions. If you want, you can also enable the email notification. If you enable this option, Getform will notify you via email for every new submission. However, enabling this option might cause you to have too many unnecessary emails on your inbox. Especially if your form has the potential to get a massive number of submissions. I personally prefer to disable this option and rather go to the Getform dashboard to check the submissions. Getform allows you to export and download the collected submissions into a CSV file for further processing. You can also export the collected submissions into services like Google Sheets, Mailchimp or Slack since Getform also supports integrations with those services. At the time of writing, you can only integrate Getform with those services via Zapier. Soon, you will be able to integrate Getform with those services directly. The Getform developer team is working on it. Other key features offered by Getform include Spam Filtering. Getform uses Akismet to get rid of the spam submissions to help your dashboard free from inappropriate submissions. Following are key features of Getform. Again, Getform is not a form builder. It is a form backend platform that you can use to collect and manage submissions. When creating a new form in the Getform dashboard, you will be provided a form endpoint which you can place to the form tag of your HTML code of your form. 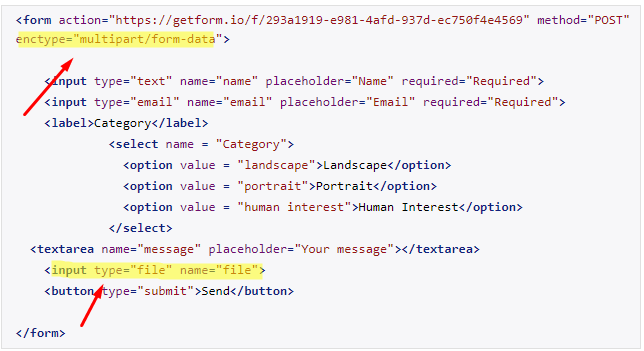 So, before creating a new form in Getform, you need to prepare an HTML code for your form. 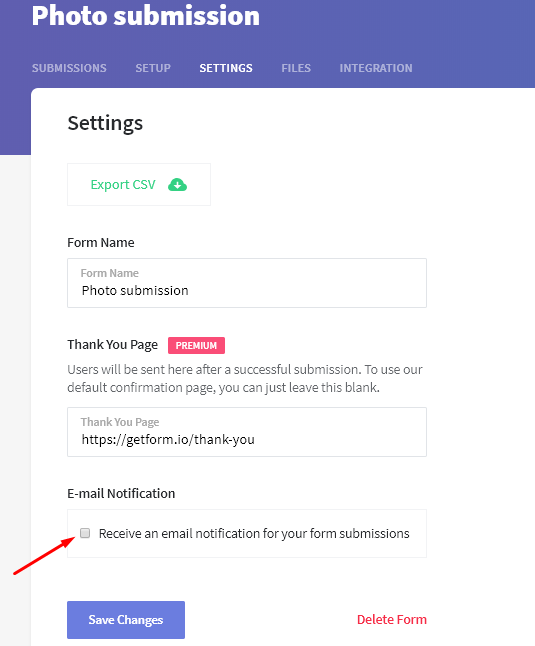 In this post, I will be showing how to use Getform to create a form for photo submission. Following is the form. And here is the HTML code of the form above. Before being able to use Getform, you certainly need to create a Getform account first. Visit the Getform website to create one. After creating a Getform account, log in to Getform and create a new form by clicking the big plus icon. Give your form a name in the available field. If you upgrade your account to premium, you will also be able to set a custom URL for the thank you page (i.e. the thank you page on your website). Click the Create Form button to create the form. Getform will generate a new URL endpoint for your form form. Copy this URL. Now go to the HTML code of your form and paste the URL endpoint you have just copied to the action attribute on the form tag of your code. Don’t forget to add name attribute to every input. Each name will be used on the header of the table report, in which will ease your job in processing the submissions. If you want to allow file upload for your form, you can add enctype="multipart/form-data" and input type="file" name="file" into tag form. The maximum file size you can accept is 25MB for each submission. If you use a free account, you only have 100 MB of storage space. Don’t forget to refresh your page to apply the changes. Getform supports email notification, but this feature is disabled by default. If you want to enable this feature, you can go to the settings page by clicking the SETTINGS tab on the currently active form. On the same page, you can also download the submissions into a CSV file for further processing. To enable email notification, thick the Receive an email notification for your form submissions option and click the Save Changes button. Once your form have collected enough submissions, you can start to manage them. To manage your submissions, login to the Getform dashboard and select a form you want to manage the submissions of. You can manage the submissions on the SUBMISSIONS tab. If you want to delete certain submissions, you can tick the submissions you want to delete and click the delete button that appears right after you tick a submission. If you allow file upload, you can also directly download the file by clicking the download icon the right-most side of the each submissions. Or, you can also preview each file by switching to the FILES tab. 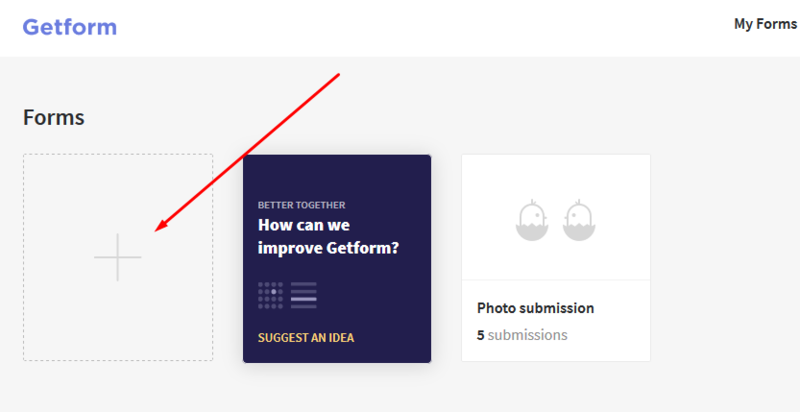 Getform is a form backend platform that you can use to collect and manage submissions. Important to note that it is not a form builder. This tool will provide a URL endpoint which you can place to the action attribute on the form tag of your HTML code of your form. Simply put, you need to prepare the HTML code of your form first before being able to use Getform. Getform is built with a collaboration in mind. You can invite your team members (by email) to join you in managing the submissions. Getform allows you to download the submissions into a CSV file for a further processing. In addition, you can also export the submissions into external services like Mailchimp, Google Sheets and Slack. Getform supports integrations with those services via Zapier. Getform itself is a freemium service. Free version is great enough for a personal project. You can upgrade to premium anytime you need t unlock more features.